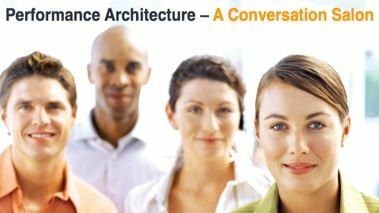 Performance Architects At Work: Are you a Performance Architect? If you work to improve human performance anywhere on the Performance Landscape, then you are one. And, you have ideas and experiences that other Performance Architects are eager to hear. 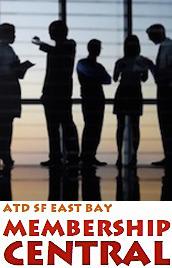 Come to ATD SF East Bay's first ever Conversation Salon to learn from and with your fellow Performance Architects. With scaffolding for your ideas and a blueprint for exploring them, you'll engage in lively exchanges and take away new ideas and evidence-based resources to enhance your workplace contributions. With more than 25 years of multi-industry experience partnering with organizations to improve their employees' performance, Carol Haig is known for her superior skills in project management, analysis and issues identification, and instructional design and facilitation. Carol has consulted with executives and line managers, established and managed training departments, trained trainers, written for professional publications and mentored performance consultants. She founded Carol Haig & Associates in 1998. Her firm helps organizations improve employee performance with culture-sensitive solutions that align the work, the workers, and the workplace to meet business goals. Carol and her associates produce quality materials, working within budget and schedule. Carol holds a MS in Secondary English Education from the State University College of New York at Buffalo and a BS in the same discipline from the State University College of New York at Plattsburg. Carol is a past Director of the International Society for Performance Improvement (ISPI). She has won ISPI's awards for Outstanding Instructional Product, Outstanding Organization, Outstanding Publication, and Distinguished Service. She was granted ISPI's highest award, Member for Life, in 2011. She is a Certified Performance Technologist (CPT), a professional designation conferred by ISPI for work that demonstrates her ability to get results by systematically identifying and removing barriers to performance. Carol has been sought by propsective clients because of her past successes and also because of her CPT designation. Dr. Roger M. Addison, CPT, is the founder of Addison Consulting and an internationally respected practitioner of Performance Technology (PT) and performance consulting. He was the Senior Director Of Human Performance Technology for the International Society for Performance Improvement. Roger was Vice President and Manager at Wells Fargo. His responsibilities included executive coaching and education, change management and partnering with line managers to improve performance. He consults with Fortune 500 organizations to help them align their business requirements with bottom line results. Roger has successfully implemented performance improvement initiatives in a number of organizations. Roger is Certified in Performance Technology. Roger is a frequent speaker at the International Society For Performance Improvement (ISPI), the International Federation of Training and Development Organisations (IFTDO) and the American Society for Training and Development (ASTD). Topics include: Performance Technology, Performance Architecture, Reengineering, Information Design, Mentoring, Consulting, Project Management and Communication Networks. Roger is a past president of ISPI and past Chair of the Board for IFTDO. Roger has received ISPI's awards for Member of the Year, Organization of the Year, and Outstanding Product. In 1998 he received ISPI's highest award, Member for Life.. As an international delegate to IFTDO and ISPI conferences, Roger has worked and presented in North America, South America, Asia, Europe, Africa and the Middle East. In 2011 Roger was selected as a Skinner Lecturer for the Association for Behavior Analysis International, Organizational Behavior Management (OBM) Network. Lynn is a founding member of IFVP (International Forum of Visual Practitioners) and a member of ISPI (International Society for Performance Improvement). She bring unique skills and visual communications insights that can truly transform an project, presentation, or engagement. In additional to her vast experience as a management consultant, Lynn has also served in various internal roles, such as Director of Training. So, you can say that Lynn Kearny knows performance improvement inside and out.